What Percentage of Organic Search Should Be Converting into Leads? Originally written on 6/10/2016. Content was updated 4/11/2018. At one point or another, every marketer, agency, business owner, and inbound enthusiast has asked this question: “How much of my organic traffic should really be converting into leads?” This question has good reason behind it: organic visit-to-lead conversion rate is a great benchmark of inbound success. 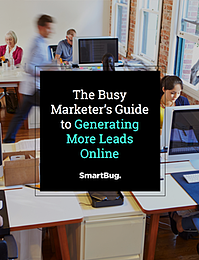 Not to mention, leads obtained from inbound activities (such as organic leads) have a much higher closing or conversion rate than their outbound counterparts: SEO leads have a 14.6% conversion rate, while outbound leads (such as direct mail or print advertising) have a 1.7% conversion rate, according to Eric Siu for Search Engine Journal. So what is a “good” visit-to-lead conversion rate for organic search traffic? Before we look at the numbers, let’s first make sure we’re on the same page with the definitions of terms like “organic visit,” “lead,” and “conversion rate” in the first place. Lead: The term “lead” actually means three different things: sales qualified leads, marketing qualified leads, and plain old leads. These last leads may be someone who has filled out a non-specific form on your website a while back, but hasn’t been very active recently. For our purposes, a lead is anyone who has provided their email address on a website form, at the very least. Conversion Rate: This term focuses on a visit-to-lead conversion rate, or the percentage of website visitors who fill out a form and convert into, or become, a lead. Now that we are on the same page with the actual concept – the percentage of website traffic generated by organic search that converts into leads – let’s talk numbers. Keep in mind that specific conversion rates can vary considerably depending on industry, website size, your site's appearances in search engine results, and the number of landing pages (more on that below). Potential customers are likely searching for products or solutions like yours, but whether or not they find your specific site (and become a lead) depends on the area where you appear in search engine results. For example, research from Smart Insights found that on Google, 30% of organic clicks go to the #1 position, 17% of organic clicks go to the #2 position, and 12% of organic clicks go to the #3 position. Numbers continue to fall off the farther you get from the top three spots on the results page – so if you’re not listed on the first or second page for a specific keyword, chances are that you won't see big traffic or leads numbers for that term. Certain industries see lower average conversion rates for many reasons. For example, products or services with a long sales cycle, that are targeted to a very niche market or have very high price points, may see lower conversions from organic traffic. However, some of these reductions in conversion rates can be offset by our next factor in visit-to-lead conversion rate. Successful inbound marketing—visits, leads, customers, and so on— isn’t just about having content. It’s about having the right content—that which answers your personas’ questions, speaks to their interests, and guides them through their own, specific buyer’s journey. In terms of content that increases your organic visit-to-lead conversion rate, it must accomplish three things. First, it must be optimized for the right keywords so that it can be found via organic search. Second, it must speak to the specific needs and interests of that user. This means it should answer the questions this user has at the beginning of their buying process and ideally at the awareness stage content. Third, it must include a CTA for a follow-up offer that is directly related to the piece of content and would be of interest to someone interested in learning more about this topic. The more website pages you have, the more likely your site will be found via organic search. Blogging is of the best ways to increase the number of pages your site shows and gets rankings for those pages. Since each post you write becomes its own website page, a regular blogging schedule can easily translate into exponential growth for your site’s internet footprint. According to HubSpot, companies that blog 15 or more times per month get 5x more traffic than those that don’t blog; companies that increase from blogging one or two times per month to nine to 15 times per month get double the leads. It should be no surprise that having more landing pages makes it more likely that your website visitors—regardless of where they originate—will convert from visitors to leads. In fact, companies often see a 55% increase in leads when increasing landing pages from 10 to 15. If your lead conversions are down, check out this article for some quick tips to increase them. While many factors contribute to a website’s organic search traffic conversion rate, a strong marketing strategy and content plan can put you well above the 16% average rate. 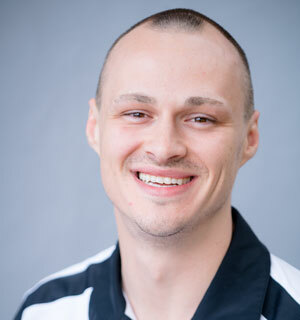 Christopher Hutchens is a Marketing Consultant at SmartBug Media. He previously worked as an interactive project manager, helping launch and redevelop websites for B2B and B2C companies. Chris is originally from Chicago and has a B.A. in Psychology from the University of Missouri. Read more articles by Christopher Hutchens.